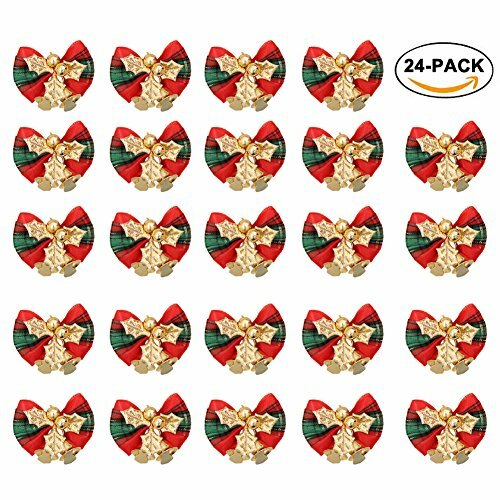 24PCS Christmas Bow Decoration, great for Christmas tree, festival, wedding, home or garden decoration, also suitable for package gift décor. Made of excellent quality flocked cloth material, feels soft and confortable. Reusable and Not Easy to Fade. Classic Red & Green color matching and Plaid pattern, create a great holiday & festive atmosphere. Every bow includes some golden collocation: Two bells + Three leaves + Two balls, the bells could make sounds if rocking. Size: 4 x 4cm/1.57 x 1.57inch; Packing: OPP Bag. If you have any questions about this product by Rely2016, contact us by completing and submitting the form below. If you are looking for a specif part number, please include it with your message.